Drag racing on public roads: It's fun, it's illegal, it's stupid, it's dangerous, and anyone can do it. Even a pair of Iowa school bus drivers who had a bunch of elementary school kids on board. 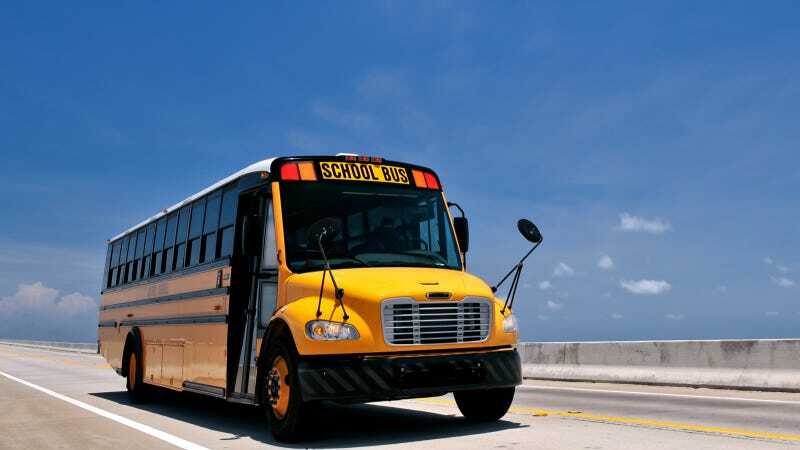 Unfortunately, the school board president didn't think that was so awesome, so the drivers have been fired, according to this report from Des Moines' WHO-TV. School board president T.J. Norman said the district had only one choice, to fire the drivers. “I have no idea how long they were side by side but long enough that children were…were fearful,” Norman said. Apparently one of the bus drivers claimed that he was in front and had his cruise control on when the other driver sped up to pass him, according to the TV station. The incident still cost him his job. School officials say it's unlikely that criminal charges will be brought against either driver. I don't know, I probably would have thought that was great fun when I was a kid, but not everyone shares my enthusiasm for hoonage.